And you may have seen them written on motivational quote cards for business, relationships and life. But where I see these equally applicable is in body transformation. More specifically, in those of you who want to build muscle and develop the real physique you’re after. You see, muscle building is a process that rewards those who are patient, laser focused and willing to play the long game. It’s nothing like a leaning phase, where you can see week on week improvement. Instead, it’s about ticking daily boxes, trusting your actions, and keeping the goal the goal. The last bit is crucial. The most critical muscle building mistake all of you will make at some point is not embracing the fluff, and forgetting that a muscle building phase will lead to some fat gain. It’s unavoidable (contrary to what you may see or hear in magazines or on social media…), and resisting it will only damage your own progress. This is especially applicable to those of you who after leaning down, may have realised that you don’t actually have as much muscle as you originally thought. Not uncommon at all. And the only solution is a lengthy and strategic building phase where you double down and focus on setting PRs in the gym, and PRs on the plate. Back in the middle of 2017, Shantanu came to us at RNT with all of these mistakes wrapped up into one. 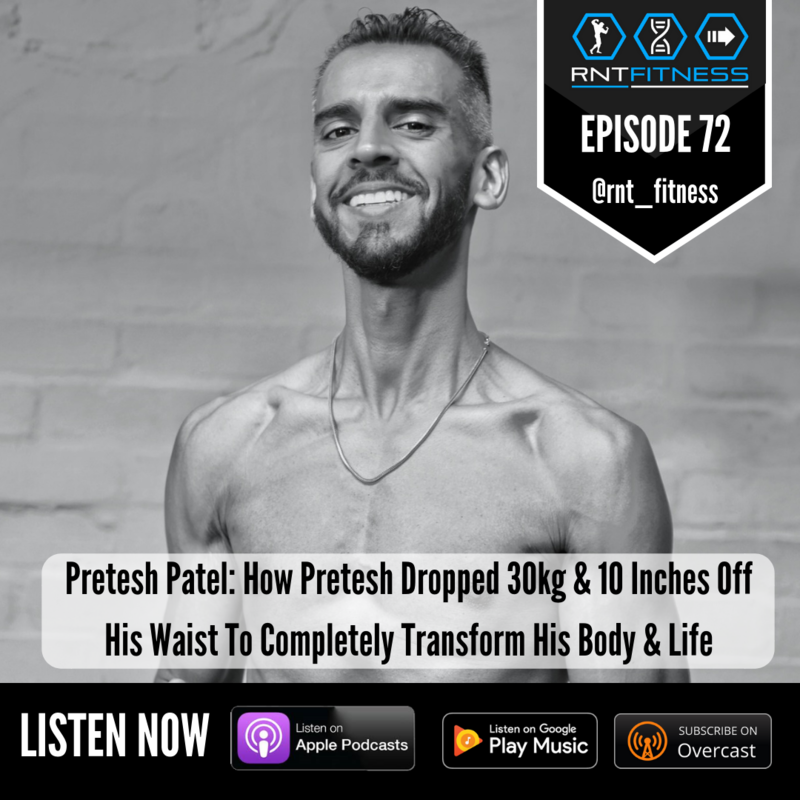 With an extremely busy life as the editor in chief at India’s biggest men’s online lifestyle magazine, he was growing frustrated at his lack of muscle building results. He was always program hopping in search of the best workout, prematurely cutting at any sign of body fat, and unaware of the process required to build the physique of his dreams. Shantanu: Of all the mistakes I made before, the number one mistake by far was my mindset. I was always looking for a quick fix, especially when it came to muscle building. But I had NO idea the truth behind natural muscle building, and the mindset required to be truly successful in it. Shifting to a long-term approach changed everything, and I’m now enjoying the fruits of my labour! The length here is always dependent on the initial goal; for many people, this may be to get as lean as possible. For Shantanu, this was a short ‘tidy up’ so he could begin his year of building. This is the investment phase, and where you deposit your pennies for the future. Phase 3– Fat loss with the aim to build further, or consolidate towards a lifestyle solution. In this case study, we’re going to look over how Shantanu used this triphasic approach to build a cover model physique, and some of the insights gained along the way. From athletics at high school, to fetching sporting laurels for my college during under-grad, I was always an active dude growing up. But then came in a busy 9-5 desk job at India’s biggest men’s lifestyle online magazine, MensXP, and right along with it, a sedentary and party driven lifestyle with a 4-hour return commute! I ballooned up and decided to do something about it. Being well versed with the concepts of calorie counting and macro distribution, I successfully drove my first transformation myself. But then I hit the dreaded plateau. I wanted to build muscle but didn’t really succeed. It was a struggle. I was lacking somewhere. I was hurting mentally because all the efforts I was making were resulting to nothing. My mindset towards building muscle was all wrong as well. I was fed up of unstructured training and the wrong diet plans, so this made me look out for a coach who I could myself accountable to and guide me. Enter RNT! When your goal is muscle growth, there’s one golden rule you need to abide by before starting: you must be lean first. If you start a building phase when you’re ‘skinny fat’, you’re only going to become more skinny fat. At high levels of body fat, your body is very efficient at getting fatter and fatter when you combine a calorie surplus into the mix. 1) Increased insulin sensitivity. This is a measure of how ‘receptive’ your cells are to insulin, which then allows muscle building nutrients such as glucose, creatine and amino acids inside. 2) For every pound you gain when you’re lean, a higher percentage of it will be muscle, and a lower percentage will be fat. 3) You can ‘bulk’ for longer. You’ll always gain some body fat when you’re trying to build size, so if you start lean, you give yourself more ‘space’ to grow into without plateauing. The supplements were nothing fancy. We stuck to the bare basics of whey protein, vitamin D3, creatine monohydrate, and some fish oil. On occasion, he’d add in magnesium to help with sleep. With regards to training, this is where Shantanu needed most work. He had no real structure, was doing too much volume, and his strength wasn’t going anywhere. From the start, we dropped from five high volume ‘bodybuilder’ style sessions to four days a week with an extra rest day, with the focus being on progressive overload and perfect form in the 5 to 10 rep range. Because we knew the goal of this dieting phase was only to prime for future growth, we started with cardio right away and introduced 30 minutes of steady state on his three rest days. The plan worked well, and we got Shantanu to just under 67kg before deciding to reverse back up. As you’ll see, he’s a lot tidier in this picture, but still has a way to go to be considered ‘lean’. But for Shantanu, the bigger picture was more important, and we knew we had the real leaning phase coming in the future. It was now time to start investing. Shantanu’s Comments: Since I always knew that building muscle naturally was a long and taxing process, I was never in a hurry. I was OK with an initial leaning phase. To build muscle was my primary goal and this was the path to it. It takes time and I was ready to put it in. I kept calm and ate as instructed without making any excuses. Sometimes the food did get too much to cope with as the bulk progressed, but I sucked it up anyway. I always had my eyes set on my goal. With Shantanu primed for building, we began to walk his calorie intake up over the course of the year from 1600-1700 all the way up to about 3500, with carbohydrate intake around the 400g mark. This was a slow progression, and the real goal here was to provide sufficient fuel for his training, which now became the main focus. We set performance targets on his key lifts, and he trained like an animal to reach these goals knowing that the process of doing so would hold the key to more muscle mass. Building muscle is always tougher psychologically. There’s no immediate deadline nor instant gratification to give quick wins. It’s a long slog; which is why it’s arguably harder than a leaning phase. It requires more accountability, more support, and more reassurance that you’re on the right path. Otherwise it can be very easy to get lost. I see it all the time, whereby ambitious trainees lose all their drive, end up demotivated, and so either diet to spark an illusion of progress (and look the same as before), or worse, give up. However, Shantanu was different. He treated this seriously, and knew that this where he was going to make all his money in the future. He knew you ‘can’t carve a pebble’, and so had his eyes set on building as big of a foundation as possible for the future. Over the course of nearly a year, we ended up pushing his bodyweight all the way up to just under 80kg. This was completely new territory for Shantanu, and admittedly, we may have pushed a little too high in bodyfat. Nevertheless, I’m a firm believer that pushing into new bodyweight territories, even if a little sloppy, can be what’s needed to ‘solidify’ your muscle mass gains, and take you to the next level. At the same time of peaking his bodyweight and calorie intake, Shantanu also got married. During the month long (!) wedding celebrations, calories were naturally very high, but he continued to train hard and heavy, and actually set some big PRs in this period. Shantanu’s Comments: During the peak months of my bulk, I decided to get married. That meant an unregulated influx of food and drinking. As expected, I bust the calorie cap right out of water and touched the 80 kilo mark. Though I knew I had put on unnecessary fat, I took full advantage of it by training as hard and as heavy as possible. I was ruthlessly consistent about it. To a large extent, it did pay off when we chipped away the fat. I lurked into the territory of dirty bulking and I wouldn’t want venture into it again. Though I was concerned about the fat gain but since I barely had any choice, I went with it and decided to diet down hard, which I later did. Shantanu was 80kg, back from his honeymoon, and ready to cash out on his investments. If we look at the target bodyweight according to our ‘How Heavy Will You Be When Lean’ scale for someone of Shantanu’s height (5ft 8), it’s 58 to 65kg. If we consider in his before picture he was 71kg, and he finished his first ‘mini cut’ at 67kg (while nowhere near ‘lean’), you can see why a muscle building phase was so critical for him. With this general range in mind, we began dieting through traditional means of increase activity, and reducing calories. 1) Shantanu’s four hour stationary commute to and from work in the crazy Delhi traffic. Coupled with a ten hour work day, this meant Shantanu had to be ruthless with his time to fit his training, meal prep, cardio and step targets into his day. 2) A torn meniscus in his right knee. Terrible timing. A freak injury meant no leg training, no traditional cardio and a controlled number of steps. I guess the first obstacle of time and a stationary commute solved itself! We just had to now go harder on the diet. As the shoot date approached, we needed to decide what type of look we were going for. Original plans for a solo shoot with a top photographer in Mumbai changed, and he was now going to be featured as part of a MenXP Health campaign (a big moment for him!). The look we needed was lean with a ‘cover model’ look, not completely shredded. During the course of the diet, we dropped a total of 17kg, and Shantanu ended up at 63kg, falling at the higher end of the predicted scale, and validating all the months of building. Had he avoided a structured period of muscle gain and continued dieting first time round, he’d have ended up in the high 50s. It’s hard to say exactly how much muscle Shantanu built, but rough calculations would point at a solid 7-10lbs, which is a very healthy return of investment! If there’s one lesson to learn from Shantanu’s story, it’s knowing how and when to keep the bigger picture in mind. At the beginning, Shantanu started with a dieting phase despite having a goal of muscle growth. Through this period, he knew it was priming him for future success. When he was getting heavier, fluffier and losing all definition, he could easily have panicked and started a mini cut. But he knew it was going to be worth it when the time was right. Playing the long game is tough. In a world where we’re drawn to instant gratification, good things really do come to those can wait out the longest. This was the comparison from the peak of his bulk to his leanest – you wouldn’t think he was 17kg lighter! 2) Push hard into a muscle building phase again to make improvements and come back in better shape (more muscle and leaner) next time. Shantanu is going for the latter! He knows this is all part of the journey, and after a solid reverse diet phase, aims to begin depositing the pennies again. From athletics at high school, to fetching sporting laurels for my college during under-grad, I was always an active dude growing up. But then came in a busy 9-5 desk job at India’s biggest men’s lifestyle online magazine, MensXP, and right along with it, a sedentary and party driven lifestyle with a 4 hour return commute! I ballooned up and decided to do something about it. Being well versed with the concepts of calorie counting and macro distribution, I successfully drove my first transformation myself. But then I hit the dreaded plateau. I wanted to build muscle but didn’t really succeed. It was a struggle. I was lacking somewhere. I was hurting mentally because all the efforts I was making were resulting to nothing. My mindset towards building muscle was all wrong as well. I was fed up of unstructured training and the wrong diet plans, so this made me look out for a coach who I could myself accountable to and guide me. I remember reading on T-Nation an article authored by Akash and I was like, wait, that’s an Indian dude with some great work in fitness! Being the editor at MenXP Health, I’m always looking for great coaches who can write too, so I got in touch with him. I asked him about RNT, and while RNT was still a new baby at the time, I knew Akash was onto something here with it. The rest is history! The results have been off the charts! I lost over 15 kilos of body fat and gained a ton of muscle mass. We did a cut-bulk-cut cycle over the course of 18 months and the ride has been amazing. I never thought I’d be used as stock pictures for MenXP Health! Alongside the coaching, I’ve also learnt plenty about what true customer care and satisfaction is. I couldn’t recommend RNT enough. How Heavy Will You Be When Lean? Should You Bulk Or Cut First? To read more case studies like Shantanu, have a read of the different articles here. For more examples of our transformations, have a scroll through growing page of before/afters here. If you’d like to be our next transformation, check out what we can offer you at our services page, or get in touch here. For any questions, topic requests or if you just want to get in touch, please feel free to email us on info@rntfitness.co.uk. To make sure you never miss an article, video or podcast, subscribe to our newsletter here. As a bonus, you’ll also receive a copy of our RNT 25 Day Extreme Fat Loss Plan!